Last week, a report from Kotaku painted a somewhat troubled picture of development on Anthem, suggesting that the game would be delayed to early 2019. Today, EA have confirmed that Anthem will hit in early 2019 as opposed to its original autumn 2018 release window, but they say it’s not due to any issues with development. Check out the full list of upcoming PC games. I’m not entirely sure what “delay” is supposed to mean here, but whatever the case you’ll be playing Anthem later than originally anticipated. We’ll likely hear more about that new Battlefield title in the months to come – or possibly E3 – but the shape of that next game has been the topic of plenty of rumors and speculation. 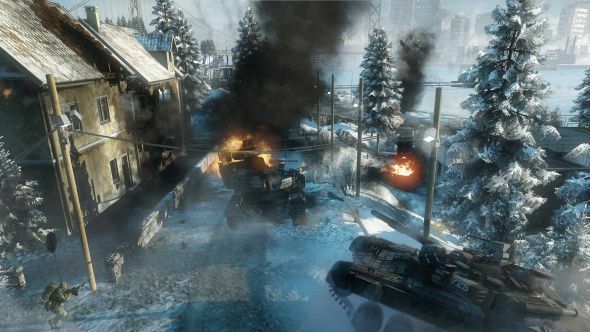 Proposed leaks have painted the upcoming title as either a third Bad Company or a World War II game, either of which would make plenty of sense as a direction for the franchise.